The early people of Europe, both Celtic and Germanic, observed a holiday roughly halfway between the autumnal equinox and the winter solstice. Known by various names, this holiday was inspired by the fact that nights were getting longer, days were getting shorter, and nature was shutting down to prepare for the winter. Dark thoughts inspired images of ghosts, goblins, witches, and other monsters and fearful beings. Christian missionaries working among the Celtic and Germanic people countered with a Christian holiday, the Festival of All Saints. With this festival, Christians remind themselves and others that we do not need to fear ghosts and monsters, that the spirits of believers who have died are safely with Jesus in Paradise, and that the work of Jesus has conquered evil in all its forms. A message being passed around Facebook claims that the Christian holiday is older, that Christians were celebrating the Festival of All Saints on the first of November long before Halloween became an observance on the thirty-first of October. Technically, this is true, since Christians were using the Julian calendar of the Roman Empire while Celts and Germans were still using a lunar calendar. Only rarely would their annual festival come the night before All Saints’ Day, but the festival of darkness and evil beings was being observed in Europe long before Christians began the Festival of All Saints. Who was first in marking this time of year does not matter as much as whose observance is more significant. Let the creation of All Saints’ Day be a Christian response to the pagan observances that have become Halloween. The message about all the saints is still more meaningful than any message about ghosts and goblins. All Saints’ Day is a reminder of Easter on the far side of the calendar. Jesus is still risen, and all who trust in him are still rescued from death and the grave and are protected from every kind of evil. Who, then, is a saint? Every believer in Jesus Christ as Lord and Savior is a saint. Peter and Paul wrote letters addressed to saints, not addressed to spirits with Christ in Paradise, but addressed to Christians still living on the earth. It is customary on All Saints’ Day to think of those saints who have died and who are waiting for the Day of Resurrection; but for Christians alive on earth, this is our day too. We remember that we are saints, not because of what we have done for Jesus, but because of what Jesus has done for us. Saints are holy people. Anything that is holy is the property of God. God’s name is holy, because it belongs to him (and Christians pray that God’s name be holy, or hallowed, among us). Times set aside for worship are holy times, because they belong to God. Places where Christians gather for worship are holy, because they belong to God. When Moses stood on holy ground—ground that belonged to God—he was told to remove his shoes so that common everyday dirt would not be tracked onto God’s holy dirt. Holy people are also meant to be different from other people. Holy people are meant to be reminders of Jesus. We are different from other people because we love God and try to obey his commands. We are different from other people because we love our neighbors and seek to help them for the glory of God. Christians do not always succeed at this business of holiness. If we had to make ourselves holy, we would be total failures. But we do not make ourselves holy. Jesus makes us holy by his life, his death, and his resurrection. Jesus makes us holy through the gifts of his Church. Jesus makes us holy by claiming us as his own people. What then of Halloween? Christians are free to observe Halloween or not as it suits them, provided they do not offend one another by their celebrations. Christians who want to give out free candy on Halloween are free to do so; those who do not wish to share candy do not have to share. Christian parents can send their children out to receive free candy or can find other things for them to do on that night. For some Christians, Halloween is a grim reminder of the evil from which they have been freed, and they would rather not think about evil at all. For other Christians, Halloween is a time to laugh at evil, our defeated enemy, and to celebrate the freedom we have received through Christ. Christmas trees and Easter eggs and Halloween jack-o-lanterns might distract some people from the promises of Christ, but they are also fitting reminders of the promises of Christ. Nothing in all creation can separate us from the love of God in Christ Jesus, and therefore anything in creation can be used to celebrate his love. Have a blessed Festival of All Saints this weekend, and also a happy Halloween. J. In my collection of movies are five movies from the mid-1980s that I describe as “guilty pleasures.” None of them is a great movie, and each of them contains scenes which I would be embarrassed to watch with either my mother or my daughter. None of these movies could compete with Amadeus or Gandhi for awards for excellence. I enjoy watching these movies on occasion, not because of the R-rated scenes, but because other elements of each movie have captured my fancy. No doubt that time period is part of the reason for my fondness for these movies. The first is Body Double, made in 1984. The director, Brian de Palma, is known for intricate plots and clever twists, and this film is no exception. It tells the story of a struggling actor who accepts an offer to house-sit, only to use the opportunity to spy on a (female) neighbor. When she is murdered, the events he witnessed are vital to the case. Although the movie contains elements of horror and a strong portrayal of a crime investigator, the real focus of the film is levels of false reality. Beginning in the opening credits, the movie plays with the mind of the viewer, changing perspectives and along the way changing facts vital to the story. Critics have called it uneven, but it aims to be uneven; its purpose is to keep the audience bewildered. Into the Night (1985) is a minor masterpiece of John Landis. Twenty-four Hollywood directors, including Landis, appear in the film, as well as Jeff Goldblum, Michelle Pfeiffer, Dan Aykroyd, Richard Farnsworth, Irene Papas, David Bowie, and Carl Perkins. The story is about a man who cannot sleep, so he goes to the airport where he inadvertently becomes involved with dangerous criminals. Into the Night could also be accused of being uneven, drifting between violence and comedy. Using the element of surprise to startle the audience, Into the Night succeeds at being entertaining if only slightly thought-provoking. Purple Rain (1984) is essentially an extended music video featuring the artistry of Prince, as well as Morris Day and the Time and Apollonia. With probably the most wooden acting of any movie I have seen, Purple Rain succeeds at telling the story of a rock star on his way toward success. Prince is portrayed as a flawed character, self-centered and misogynist. Although I have never been a big fan of his music, I find this portrayal of life in the entertainment industry oddly interesting. Streets of Fire (1984) also tells the story of a rock singer, although she is fictitious and is portrayed by an actress. When she is kidnapped from the stage during a concert, her friend contacts the friend’s brother, an ex-lover of the singer, to rescue her. The adventure is set in an urban environment with elements of the 1980s and elements of the 1950s. The characters constantly converse in snide sarcasm, which becomes annoying quickly, but the story is strong if stereotyped, and the cast is excellent: Michael Pare, Diane Laine, Rick Moranis, and Amy Madigan. Tai Pan (1986) is based on a novel by James Clavell, who is known for writing about China and Japan by taking a few scattered historic events, blending them into one story, and then creating characters of his own to populate the new version of history he has invented. This movie focuses on the British traders who brought about the territory of Hong Kong, as well as the Chinese citizens who deal with these traders in various ways. The story itself is outlandish, and the acting makes it more outlandish yet. Still, the filming and the score are beautiful. With Bryan Brown, John Stanton, and Joan Chen. As I said at the top, these are not great movies. I find them intriguing and entertaining, but that probably says more about me than it says about the movies themselves. J.
I have been in the doghouse for a few days, ever since my older cat found out that I wrote a post about my younger cat. (Even now he is watching to make sure that I write “older cat” and not “other cat.”) He has been in the house much longer than she has, and he does not accept any explanation for the fact that she was introduced to the internet first. He came from an animal shelter, but it was quickly obvious that he is a “people cat.” If people are in the house, he is determined to be with one or more of them—he is happiest when several people are in the same room. Sometimes he goes from person to person demanding attention; other times, he just sits or lies in the middle of the group and happily listens to the voices. At nighttime, he has the uncanny ability to cause every member of the household to believe that he spent the entire night sleeping in his or her bed. He is very much an athlete. He likes to jump onto high pieces of furniture. When he is in the mood, he even sleeps atop the china cabinet. He likes to prowl along a row of bookcases from one end to the other. When he is in a wild mood, he likes to run full speed across the room, onto the bookcases, from one end to the other and back again, and then out of the room. When he is not so wild, he likes to balance himself on narrow surfaces—a handrail that is about two inches wide but curved, or the headboard of the bed, which is less than an inch wide—and walk from one end to the other and back again. One of his favorite tricks is to walk the length of the headboard, climb onto the round bedpost until all four feet are on that curved surface, and then jump from there onto the top of a six-foot-tall bookcase. Only rarely is he a lap cat. He would rather lie or stand next to a person on a couch and be pet. Sometimes he will walk back and forth on and off the lap; he has also been known to perch on the arm of an occupied easy chair and demand attention. He also likes to sit on a four-legged stool and supervise cooking in the kitchen. He watches the actions of the cook with interest, but his favorite human food is cooked chicken. His love for that smell makes him forgetful of the house rules, as he will climb off the stool onto the counter in search of the chicken. Like a two-year-old child, he has learned the meaning of the word “no,” and he responds with a similar sound when he is removed from a place where he does not belong. He often joins the family during meals, and if the smell is to his liking he will try to get from the floor to a lap or chair and from there to the table. Sometimes—as with the Thanksgiving turkey—he has to be closed in a bedroom for the duration of a meal so the rest of us can eat in peace. Black cats are supposed to be bad luck, but he has brought the family nothing but good luck. He is a beautiful cat with short black fur and yellow eyes. He generally is a very forgiving cat, and now that I have written about him, I believe that I shall be allowed out of the doghouse. J. According to WordPress this is my one hundredth Salvageable post. I have been enjoying, and will continue to enjoy, the people I am meeting in the blog community. A big thank you to all of you who take the time to read my Salvageable work. This may be true for most of you, or maybe I am unique: I find that my favorite posts of the first 100 are some of the earliest posts. These are favorites because I had been thinking about them for months, if not years, before they finally got published here. That is especially true of A Day for Mary which I would like to submit to a Christian magazine or two for publication. Likewise, Why Does He Do It? represents a long time of watching and wondering. Knowing this about my blog, I plan to visit some of your archives to read your earliest posts, so I will know what was on your minds the most when you started blogging. A recent discussion on the always incisive and erudite InsanityBytes makes me want to revisit the post I wrote, My Best Friend’s Rotten Wife. One of the comments I made to InsanityBytes is that “organized religion” is an oxymoron like jumbo shrimp or highway safety. 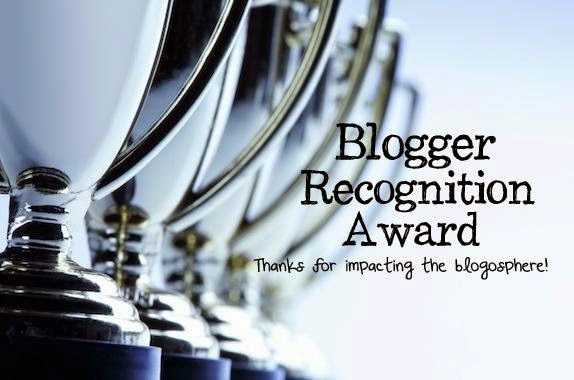 “Thank your nominator.” Thank you, Ally, for the nomination and for all the great writing you produce. 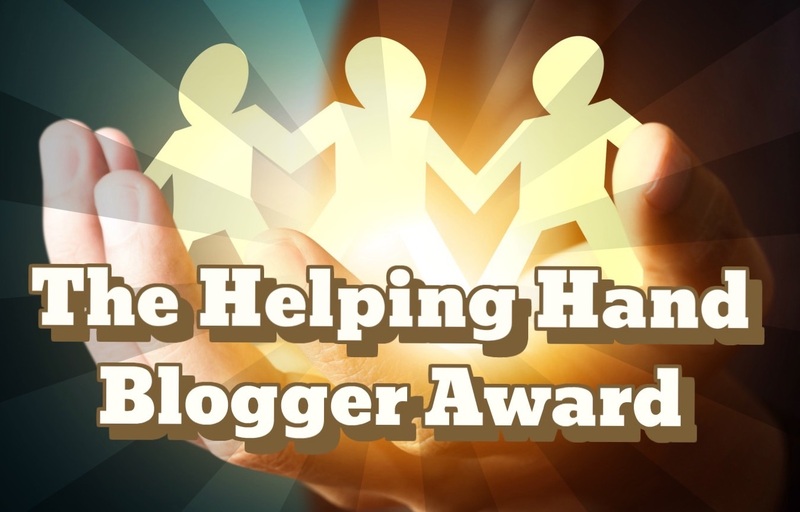 “Nominate fifteen blogs.” This I cannot do because most of my favorite blogs have already been nominated by someone else (namely, Ally). “Write a brief description of your blog.” Salvageable is a place where I get to be a curmudgeon one day, complaining about my neighbors or about bad drivers, and then I get to be a fan the next day, celebrating the Beatles or the Chicago Cubs. At times I write about the Christian faith, and at times I write about anxiety and depression, and at times I just ramble. “Write one or two pieces of advice for a new blogger.” Since I broke the fifteen nominations rule, I will stretch this rule and share what I told future writers in a program called Authors in the Schools. I think these three pieces of advice are as true for bloggers as for other kinds of writers. First, to be a good writer, read a lot. Your writing will improve as you see other good writing. Second, write a lot. Write something every day if you can, even if no one else ever sees most of it. Practice doesn’t make perfect, but it generally makes better. Third, rewrite a lot. Only God can produce a flawless first draft. The rest of us need to return to work we have written and consider how it can be improved. “Provide a link to the original BRA award.” Here it is. Finally, what does the future hold for Salvageable? What will appear in the next 100 posts? I will continue to be both a curmudgeon and a fan. I will continue posting First Friday Fiction for at least a few more months. The Grammar Dalek will be back soon. And I may share parts of my next writing project, currently in the outline stage, which will be called Christ in Genesis. Thank you all for reading and for your comments. J. All fall I’ve had an annoying tickle in the canal of my right ear. They say that when your ear itches or rings or buzzes, that means someone is talking about you. Can you imagine how annoying that must be for people like President Obama and Taylor Swift? People are constantly talking about them. I surfed the internet to learn more about that old saying. It turns out that it is very old—the first writer to mention it was Pliny, and he wrote about it roughly two thousand years ago. There are Chinese versions of the saying as well as Roman versions and American versions. One version says that if your right ear itches or rings, people are saying good things about you; but if your left ear itches or rings, people are saying bad things about you. At least I have that going for me: only my right ear is feeling tickled. Many of the internet pages about buzzing or ringing described the symptom called tinnitus. I am familiar with tinnitus, as I have that symptom off and on since childhood. I hear a high-pitched steady tone, but I generally I only notice it when things are otherwise quiet. I also have “floaters,” small clumps of matter floating inside one or both of my eyeballs, creating the illusion that large pieces of dust are moving around in front of my face. I’ve had those since childhood, and when I was young I learned to play with them, moving my eyes to make the floaters change directions. Because of floaters and tinnitus, I have learned not to trust my senses absolutely; I often see and hear things that are not really there. I do not “hear voices” in the sense of hallucinations, but my mind does convert random sounds reported by my ears into language. We have one kind of bird in our neighborhood that I call the “secret bird” because its call sounds like “secret, secret.” Another kind of bird must be from India, since I hear it calling, “Krishna, Krishna.” When the air conditioning or heat comes on, sometimes the motor sounds to me as if a radio or television is on in the house. Only if I concentrate do I realize that the sound I hear is not voices speaking words or music playing. We have a vent on top of the house that turns in the wind to air out the attic. Under certain conditions it creates a buzzing sound. Until I tracked down the source of the buzz, I feared that a swarm of bees had somehow entered the house and started creating a hive—more than once, I walked all the way around the house to try to find where the bees were entering and exiting. Several members of my family—including me—can hear sounds too high for most people to hear. We can hear noises from light bulbs or from refrigerators that other people insist must not be happening, since they can’t hear them. Some members of my family can even hear the dog whistle at the end of the Beatles’ Sergeant Pepper’s Lonely Hearts Club Band album. It is a mixed blessing to hear sounds other people don’t hear. I can usually anticipate when a light bulb in our dining room chandelier is about to burn out, because those light bulbs emit a high whistle for a day or two before burning out. On the other hand, when some of us hear the refrigerator sing while others cannot hear it, people can start losing patience with each other because of the difference. I am who I am and I hear what I hear. I’m grateful not to be President Obama or Taylor Swift, whose ears ring constantly. I shall endure this mildly annoying tickle, especially since it is in my right ear. And if the whistling in my ears gets too annoying, I’ll just start singing to drown it out. J.
I finally am saying it: I am a fan of the Chicago Cubs. I am a Cubs fan, I always have been a Cubs fan, and I always will be a Cubs fan. I am not ashamed of my loyalty. I proudly wear their cap and T-shirt, I fly their flag, and when I can I watch their games. But I have not written about the Cubs this year because I did not want to jinx them while they were playing. My very first post mentioned the Cubs, and they lost on opening day. Since then, I have written nothing about the Cubs—nothing on this blog, nothing on social media, nothing even in letters to my family. The misfortune of the Chicago Bulls after I wrote a blog post about them made me more determined not to bring disaster on the Cubs of 2015. Now that we are back in the season of “wait until next year,” I can proclaim my pride in this year’s team and my high esteem for all the Cubs teams, both good and bad, that I have watched over the years. Cubs fans speak more about the near-successes than about the losing seasons. I remember the Cubs of 1969: Ernie Banks, Glenn Beckert, Don Kessinger, Ron Santo, Randy Hundley, Billy Williams, and Fergie Jenkins. They were far ahead of their opposition that summer, but they wilted in the August heat and were overtaken by the dreaded New York Mets. I remember the playoffs of 1984 when the Cubs won the first two games against the San Diego Padres only to be beaten three straight times. In 1989 it was the turn of the San Francisco Giants. Then came the Atlanta Braves in 1998. In 2003, the Cubs were within five outs of winning the National League pennant, but once again it was not to be. The Florida Marlins prevailed in that series. Then came the Los Angeles Dodgers and the Arizona Diamondbacks in 2007 and 2008. This year it was the turn of the Mets. Every time the Cubs lost their chance at the pennant to a rival from another National League division, they have lost to a different team. In 1998 they defeated the Giants in a one-game play-off, and in 2003 they got past the Atlanta Braves. This year they proved that they cannot be restrained by divisional rivals in the playoffs, as they won against the Pirates and the Cardinals. This leaves only three National League teams that can deny them a pennant: the Washington Nationals, the Philadelphia Phillies, and the Colorado Rockies. When the Cubs make the playoffs and none of those three teams stand in their way, they are sure to win it all. Most of the players we saw this year will probably achieve that goal. They have assembled a very talented team of young players; barring severe injuries to more than one of their rising stars, the Cubs are going to be even better in the next few years to come. The Mets prevailed with superb young pitching, and Cubs fans expect a new pitcher or two to join the team over the winter, either through a free-agent signing or through a trade. The Cubs were one of the first professional baseball teams organized. Their best streak was in 1906-1908, in which they won three pennants and two championships. Notoriously, the Cubs have not won a championship since 1908, making them the only professional team in any sport that has existed for one hundred years without winning a championship at least once in those hundred years. The Cubs have not even been in the World Series since 1945, meaning that the majority of their fans have never seen the Cubs play in a World Series game. Being a Cubs fan involves endurance, faith, hope, and great inner strength. When the Cubs are doing well, their fans are careful not to change anything, for fear of breaking the magic. During their playoff games this year I did not even replace burned-out light bulbs in my house. When the Cubs do poorly, especially those years when they have done well to raise expectations, a Cub fan will blame himself or herself for breaking the magic. By Friday October 16, all my blue socks were in the laundry and I had to wear different colored socks Saturday and Sunday. That may have turned the tide for the hitherto unstoppable Cubs. A Cubs fan might blame himself or herself, but real Cubs fans do not blame other Cubs fans. The fan who tried to catch a foul ball in the playoff game against the Marlins did nothing wrong, and no real fan of the Cubs blames him. Most of the blame is media-generated, since the media loves a good story. I have been told more than once that “it’s bad luck to be superstitious,” and I try my best not to bring more bad luck upon the Cubs with my silly superstitions. Even so, I did my best to help by writing nothing about them all year. Until now. Now, even though they lost to the Mets, they still had a wonderfully successful season. I am proud to be a Cubs fan, and I look forward to more successes on their part in the years to come. J. Last night I read about a dozen pages about the history of Yugoslavia, followed by half a dozen pages about Zoroastrianism. With that reading, I finished a task that has taken me almost three years, reading the Encyclopedia Britannica’s Macropaedia from cover to cover. My family has owned this encyclopedia set for a while, as one might surmise from the mention of Yugoslavia. When a salesman came by the house sometime in the previous century, I jumped at the chance to own a copy of the prestigious Encyclopedia Britannica. When I was growing up, my family had two encyclopedia sets—one was called the Book of Knowledge, and the other was the Funk & Wagnall’s Encyclopedia. I remember my mother coming home from the grocery store with the Funk & Wagnall’s, one volume every week until we had the entire set. In case anyone is unfamiliar with the Encyclopedia Britannica, it consists of three sets of books. The first set is called the Micropaedia. Our edition has twelve volumes, consisting of short articles about a great many things. Following the Micropaedia comes the Macropaedia. Our edition has seventeen volumes, consisting of longer essays about important and complex topics, ranging from geography and history to biology, chemistry, physics, economics, psychology, philosophy, religion, and the fine arts. There is also a one volume Propaedia and a two volume index, for a total of thirty-two volumes. When we got the encyclopedia set, I built a bookshelf to hold all thirty-two volumes. This shelf and its volumes have a prominent place in our living room. Nobody is ever expected to read an encyclopedia set from cover to cover; the encyclopedia is a reference source, a place to check if one wants to remember when Christopher Columbus died or how many symphonies Mozart wrote. With the Britannica came a brochure about another set by the same publishing company: the Great Books of the Western World. I would have liked to buy that set, but the Britannica pretty well exhausted the book budget of the family for some time to come. I kept the brochure, though, and scoured the family library to see how many Great Books we already owned. When people asked what I wanted for Christmas or for my birthday, I would give them a list of Great Books not yet in our library. Over time, I hoped to accumulate the equivalent of the set of Great Books—not in matching covers or all the same size, but the content was what mattered to me. “How much are you charging?” I asked, with hope that it would be something I could afford. In late 2007, then, I brought home my free copy of the Great Books of the Western World. I pulled out the old brochure to identify the missing volumes, and I was delighted to see that I already owned copies of those works. Since it was late in the year, I decided that I would wait until January 1, 2008. Then, on New Year’s Day, I would begin reading Homer’s Iliad. Nearly five years later, I had reached my goal. In five years I had read the entire Great Books series from Homer to Samuel Beckett’s Waiting for Godot. As I closed the last volume of the Great Books, I wondered what I should choose for my next great reading project. My eyes strayed across the room until they were captured by the Encyclopedia Britannica. Of course the big question now is what big project do I want to start this January? The Micropaedia is trying to get my attention… J.
I wasn’t looking for them, but I found them all the same: treasures from an earlier time, almost another lifetime, hidden where only I would be likely to find them. You know how it is. Sometimes when you pack your things to move, you grab a stack of papers and stuff them in a box. The box moves with you, but then it gets set in a quiet, out-of-the-way place. You move again and the box comes with you, but you still never get around to unpacking it. Eventually, you forget what you originally put in that box. I have five such boxes filled with paper of various kinds—papers I wrote for school (from elementary school through graduate school), short stories and plays and poems I’ve written, scrapbooks from different times in my life, baseball scorecards, photographs and other things I used to tape to my wall when I was in college, and dozens of other memories, some of which I had long forgotten. I saw the Big Red Machine in action in Chicago—Pete Rose, Johnny Bench, Joe Morgan, and the rest, facing Fergie Jenkins in Wrigley Field. I wrote a paper about schizophrenia for my health class in eighth grade. I attended Boys State. Such memories! …and my favorite, about a high school volleyball game: “St. Francis Handles Wheaton Christian Girls”! It was a dark, cold, and cloudy day when I left my house in town for a bicycle ride into the country. The charming thing about where I live is that both the scenery of the country and the comfort of the city are nearby. A bike ride to see the autumn colors, as I was doing, took only five minutes. I crossed the river, pedaled up the long hill, passed the church and the cemetery, turned right, and rode the smooth country road for about a quarter of a mile. Then I made another right turn, and I was in the middle of a beautifully-colored grove of trees. I stood and looked at the yellows, the reds, the browns and greens, and I listened to the cheerful chirps of birds gathering in preparation for migration. No passing car disturbed my peace; no loud noise scared the birds into flight. I felt warmth on my back. Looking up, I saw that the sun had broken through the clouds and was lighting up the sky. I unfastened my jacket to let in the warmth. After my visit with the trees was complete, I turned and rode back into town. First I traveled down the smooth country road, then turned left, rode past the cemetery, past the church, coasted down the long hill and across the river, and stopped in front of my house. Looking up, I saw that it had become cloudy again. It was also cold again. Shivering, I put the bike in the garage and went into the house. And that’s the way life was, in another time and another place. J.
I may be embellishing his words a bit, but I have captured the essence of what he said. Few creative people are in love with their muse. Writers do not write because it’s fun to write—writers are driven to write. Painters and sculptors and others involved in the visual arts feel the same way. Musicians perform music, not as a hobby but as a compulsion. I have known many musicians. I have noticed that their feelings about people who dabble in music vary between amusement and scorn. If music is just a hobby—if music is not the only reason to go on living—then that amateur performer is not considered a true musician. Every art is populated by starving artists. Only a few in each field reach the heights of fame and wealth. Most take on another job to support themselves while their hearts remain dedicated to their art. One of my musician friends made contact with the drummer who performed with Santana at Woodstock. The man still drums in small clubs for a pittance. With his immense talent and his minutes of fame, today he is a classic image of the starving artist. Creative people often seem to have emotional problems of one kind or another. From severe mental illness to deep depression, artists seem prone to live unhappy lives. The suicide of an Ernest Hemingway or a Robin Williams reminds the rest of the world of the pain many artists carry inside themselves day and night. Who is to blame? Is it the fault of the muse that artists suffer? Can only those afflicted by pain supply the rest of the world with entertainment and with awe? Soren Kierkegaard compared poets to the victims in ancient Sicily who were roasted to death in a hollow bull a king commanded an artist to devise. The screams of pain generated from within the bull by the victim sounded like music passing through the contraption. Reportedly, the designer of the Sicilian bull was the first victim to be tested in its flames. Aristotle said something to the effect of “there is no great genius without a touch of madness.” He may have been thinking of Socrates, who was often considered to be mad. Socrates claimed to be inspired by a semi-divine spirit (the actual Greek word is “demon”) and would sometimes stop and stare into space, even in the middle of a conversation. Other wise people have compared the link between genius and madness to the link between roses and thorns. Kurt Vonnegut, on the other hand, felt that creativity comes from being an outsider. He said that the mentally ill, along with Jews and homosexuals and other outsiders, are forced to see the world in a different way because they were made outsiders. When they describe the world which they see, they are discovered to be creative. All this seems to say that the muse is a cruel mistress, a femme fatale, who uses the artist for her own ends without regard for the artist’s happiness, comfort, or even survival. Perhaps in a perfect world art can be produced painlessly, but we do not live in a perfect world. The burden of the artist, the driving force of the muse, is part of the reality of existence in this world. In the movie A League of Their Own, the manager is talking about baseball when he says, “Of course it’s not easy! If it were easy, everyone would do it.” What is true of baseball is true of art as well. J. Some people are cat people, and some people are dog people. A few like both, and a few like neither. My parents fit in the “both” category. When I was growing up, the family generally had one dog and one cat, and they played together nicely. For a few years we had two cats, but that was because a stray cat adopted us. I like most dogs. As for me and my house, though, we serve the cats. They can be trusted alone in the house when we are gone all day—or even are on a several day trip. (Yes, we do have a sitter stop by once a day to give them food and water and to clean their litter box.) Cats are quieter than dogs, and they demand less attention. Yet it means something to win the approval of a cat. Dogs are pack animals; they will admire anyone who takes leadership in their lives, tells them what to do, and provides them with food and attention. Cats are more particular. They choose their friends by a process known only to other cats. Food and attention are not enough to make friends with a cat. When a cat approves of you, you know that you are a special person. Most cats like me. A year ago my daughter came home from Walmart with a cat. She had not gone to the store to buy a cat, and in fact she did not buy this kitten. It came to her in the parking lot. I know this happens a lot; people leave unwanted kittens in the Walmart parking lot, expecting that they will find a new home. This kitten must have come from a fairly nice home. She is friendly, she likes children, and she clearly had received good care and enough food until she was left at Walmart. A year later, I still wonder if some boy or girl is wondering what happened to the special kitten they were raising that disappeared without explanation one day. The kitten is now a cat. I’m usually the first person awake in the mornings, and when she hears that I am up, she comes looking for attention. She wants to be pet and rubbed and assured that I have not stopped loving her overnight. This lasts until I sit down for breakfast or until she hears that someone else is awake. When I come home from work, she wants more attention, because I’ve been gone all day. I might want to check matters on the computer, but she needs her time with me too. In the evenings she enjoys being a lap cat. She sits on my lap and purrs; I scratch her behind her ears while reading a book. Some days, especially Saturdays, I feel anxious for no reason. At times, this cat is my best medicine. Time spent with her is the best therapy I can find on a weekend. Even if I have to wake her up to get her attention, she is quickly forgiving, ready to show me that I still matter to her, and peaceful assurance that not everything is wrong in the world. Cats are not for everyone. Some people have allergies, and some have phobias, and some just don’t like having animals around the house. Even the best-behaved cats will sometimes sharpen their claws on the sofa or weave around a person’s legs to trip that person in a dark hallway at nighttime. They do not understand the human habit of sleeping for several hours and then being awake for two or three times as many hours. My cat does not understand why I hold books and stare at them for long minutes of the day; it’s an odd habit she has come to accept. Family television time is another mystery to her, but she is happy to be with us when we are all staring at that noisy box with the moving pictures. She is generous but fair—if the show is long enough, she will have spent time on each lap in the room. Of all the people in that Walmart parking lot last October, I am glad this cat found my daughter first. We have taken good care of her, and she is taking good care of all of us. I am delighted that she became part of my family. J.